summer, she joined us at Little Shop of Stories in Decatur for our week-long Camp Half-Blood, based on the best-selling Percy Jackson series. She taught the kids ancient Greek because that's what they do at Camp Half-Blood. 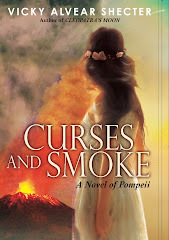 For the first time, she also taught Latin because Rick Riordan added a Roman element to his mythology action-adventure series. In The Lost Hero, the Greek demigod kids learn that they have a competing camp of demigods whose parents were Roman gods. But wait, weren't the Roman gods just Romanized versions of the Greek gods? Yes, but they were also filtered through the unique Roman world-view of honor, duty, piousness, etc. Conway was able to keep their interest as she introduced them to both languages. The fact that she kept their attention during a summer (fun) camp shows you just how engaging she is. 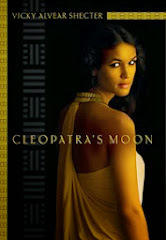 Check out her site at www.classicalprep.com. 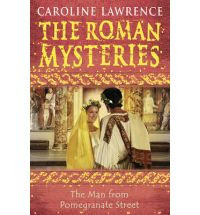 I've also recently learned that one of my favorite authors, Caroline Lawrence, is creating two spin-offs from her popular Roman Mysteries series, one for younger readers and one for the young adult market. Yes! 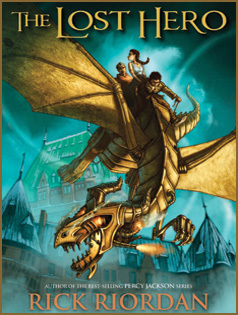 The series for younger readers focuses on an eight year-old beggar boy in Ostia named Threptus. He was introduced in The Man from Pomegranate Street. The new series debuts in 2012. No word yet on when the YA series comes out but you can bet I'll be one of the first in line. It's wonderful to see kids get so excited about the ancient past. It pains me that public schools in Georgia do not teach ancient history or Greek mythology at all (there's a smattering of ancient history here and there, but nothing substantial until high school). 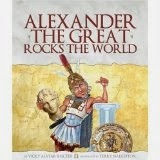 These books demonstrate that the classical and ancient worlds continue to enthrall kids and teens. Many a kid has developed a lifelong passion for literature, history and/or art because of their early introduction to ancient history. Some of us just never outgrew it. I only remember learning about the Greek and Roman gods at a library program I went to as a kid. It was so fascinating. It is too bad that it's not taught in schools in depth. Heh, I taught the teachers as kid. :P I read the Illiad in translation at the age of 8 and such. I was - and still am - fascinated by mythology, not only the Greek but also the Norse and Celtic ones (I read the Edda around that time as well). I see all these books and I just hope and pray that it means we're raising a new generation of people who LOVE the classics and LOVE mythology. I think Rick Riordan is doing us all a huge service! I didn't read the Iliad until college, and I still haven't read the Odyssey start to finish, but when my brother came home from college on vacations (I was probably no more than 10), he brought me his copy of Bullfinch, and I remember distinctly laying on his bed and reading out of it and asking him questions, and I felt SO smart because I knew that Hercules was Heracles first! @Amalia--totally agree. You don't have to work very hard to get kids fascinated by this stuff--yet we in America ignore this stuff in favor of...I don't even know! Here in GA, the kids learn GA history instead of the classics. Learning about your own state is important, but REALLY guys? Watch how bored they are--then watch their eyes light up when you talk about some of these great myths and civilizations! 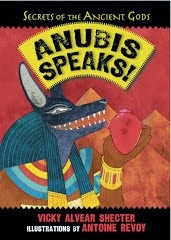 Gabriele--I think a lot of us writers can trace our fascination with stories back to the myths we learned as children. e and Karen--what an opportunity lost, eh?